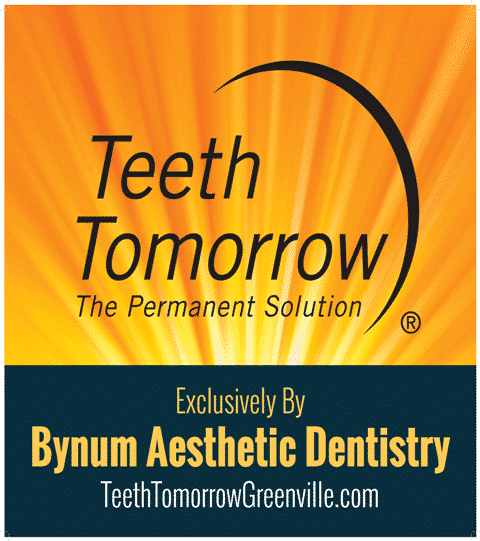 Bynum Aesthetic Dentistry is Greater Greenville’s exclusive provider of this 21st-century alternative to dentures. Our specially-trained Teeth Tomorrow® team is dedicated to improving your oral health and overall quality of life. Your Teeth Tomorrow® journey begins and ends right here in our comfortable offices – there is no need to worry about being referred to different providers. We utilize advanced technology and private surgical suites to deliver exceptional results without sacrificing patient safety and comfort. With years of experience and successful cases, you can rest assured that you are getting the best dental product and treatment available. In addition, there are no surprise fees or inclusions. Your comprehensive and personalized Teeth Tomorrow® treatment includes everything you need for a permanent solution to your major dental issues. “Smile Rejuvenation” is an incredible thing. Using the latest advancements in dental technology, we can now significantly alter the appearance of misaligned, discolored, and misshapen teeth in as little as two visits. The extents to which this can be performed, as well as the time frame depend on the severity of each individual case. Commonly referred to as “instant orthodontics”, the option of aesthetic dentistry often supersedes that of traditional orthodontics due to the difference in time. The possibilities are absolutely amazing. Reserve your cosmetic consultation, and allow yourself the chance to see what changes can be made in just a few short weeks. TMJ treatment falls under what we call Neuromuscular dentistry. Neuromuscular dentistry is the science that evaluates and treats your overall oral health by considering how your muscles, teeth and joints all work together. It involves using the muscles and nerves to position the jaw into a physiologically balanced and functionally comfortable position. Using science and technology, we can determine if the muscles, nerves and jaw are in fact in harmony. Often times, when there is no balance and harmony within this system, the results are exacerbated and distributed throughout the body in the form of headaches, neck pain, and other related issues. The good news is that through the use of this technology, we can often diagnose and resolve the majority of the signs and symptoms that stem from this disharmony. Full mouth rehabilitation is by far the most life changing process we are capable of performing. It involves restoring the teeth, the occlusion (bite), the muscles, the self-confidence, and the self-esteem back to a natural looking and youthful feeling condition. Full mouth rehabilitation can eliminate the variables that decrease the daily quality of life. Improve the level of satisfaction you have with your smile; eliminate the discomfort from chewing or temperature sensitive foods; improve the level of comfort experienced with sore jaw muscles and headaches, all by restoring your teeth to optimum level health and function. Snoring is very prevalent today for many reasons ranging from increased weight to allergies. Regardless of what the cause, the fact remains that snoring is never appreciated by those around it! Snoring is actually the result of a decreased airspace and even flow of oxygen inhalation and expulsion. Maintaining the airway is crucial in airflow exchange and critical to our health. With the use of appliance therapy such as snore guards and the like, we can minimize the amount of snoring that occurs, thus giving you and your spouse a better night’s sleep. Call for your consultation today and get that good night’s sleep you deserve! The laser and in-office whitening procedure is a simplified, less messy alternative to brightening your smile using traditional tray delivery systems. No longer do you have to wait weeks for results or wear those uncomfortable trays for extended periods of time. The process takes about two hours to achieve the desired results. While relaxing in one of our comfortable, self-massaging dental chairs, the teeth to be whitened are isolated with barrier control solutions, and the whitening gel placed. The whitening gel is removed and re-applied for up to three sessions. Each session lasts for approximately 20 minutes. Once complete, all the barriers and solutions are removed and rinsed clean. We are now offering an alternative to the “laser” type whitening procedures called “KoR®”. This is an in-office, chairside whitening procedure which utilizes advanced chemical formulation to remove deep dark stains internal to the teeth such as tetracycline and iron staining. The results are incredible, and the inconvenience is eliminated. Call today to reserve your free whitening consultation. Aesthetic dentistry is taking so much more into consideration than just teeth. Through the use of laser technology, we have the capability to modify, and resculpt the surrounding gum tissue. Symmetry is as important with gum tissue as it is with teeth. The aesthetic difference of laser recontouring is the difference in a good looking smile enhancement and a great smile enhancement. Tissue modification is performed in the office during the restorative procedure, and is both predictable and fast in regards to healing. Gum disease is known in dentistry as the “silent killer of teeth”. Nearly 3 out of 4 adults in the continental United States suffers from periodontal disease, without any knowledge of the destruction. Often referred to as “silent” because there is seldom any pain or discomfort, this disease process is destructive enough to alter the quality of life as age progresses by infecting the teeth and surrounding tissues. As seen in the news, newly found research has linked periodontal disease to cardiovascular (heart) disease. Now more than ever, this disease process is making its presence known and felt. Sleep apnea is a very serious condition leading to further medical complications ranging from diabetes to hypertension. That critical exchange of oxygen that our bodies need is impeded and the results are staggering as to the amount of people affected. Having practiced Neuromuscular Dentistry for as long as I have, we have found the connection between jaw position and the structures that support them to be intimate as far as seeing the results in the body. Through advanced techniques and diagnosis using sleep diagnostics and testing, we can now predictably assist with sleep apnea and also determining which professional to see in the process of treatment. Sometimes appliance therapy will assist, while CPAP assistance is needed in other situations. Regardless, we can help in determining who to see and how to help. Don’t let another day slip away. 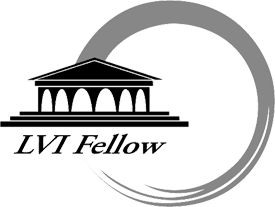 Call for your consultation today! Screening for oral and pharyngeal cancers is very important in our office. Historically the death rate associated with this cancer is very high because it is often discovered late in its development. If oral cancer is found early, the patient has an 83% chance of 5-year survival. We stress the importance of oral cancer screenings to every patient and screen all of our patients at least once a year. By using the VELscope VX, we can identify oral disease early, while it’s still easy to treat. By using the blue light that the VELscope stimulates, we can see disease not visible with the naked eye. This helps us discover oral disease before it can be seen under ordinary light. The Pinhole Surgical Technique (PST®), invented and patented by John Chao, D.D.S., is a scalpel-free, suture-free procedure for correcting gum recession. Through a small pinhole made by a needle, Dr. Chao’s technique uses specially designed instruments to gently loosen the gum tissue and glide it over the receded part of the tooth. Since there is no cutting or stitching, patients can expect minimal post-operative symptoms (pain, swelling and bleeding). Most patients also are pleasantly surprised by the instant cosmetic improvement. Dr. Matt was trained by the inventor of the technique himself and is one of only 550 dentists who is certified and licensed to perform this state of the art procedure. We offer two forms of limited orthodontics in our office, Invisalign and Six Month Smiles. Invisalign is a virtually invisible solution, which allows you to smile confidently during treatment and after. Using a series of clear removable aligners, Invisalign gradually moves your teeth toward the smile you’ve always wanted. And, the best part, almost no one will know you’re wearing them unless you tell them! Invisalign can successfully treat patients with moderate and severe conditions including crowding, spacing, overbite, underbite, deep bite, and open bite. Six Month Smiles is a revolutionary orthodontic system that provides a fast and economical way for adults to begin smiling with confidence! The Six Month Smiles System employs new and specific orthodontic technology that provides for safe, comfortable and efficient tooth movement. On average, the treatment time is 6 months but treatment times can range from 4-9 months. Call us today to learn how you can get a straighter smile in just 6 months!